Ed Sheeran has been hit by a car in London. According to reports, the 26-year-old singer-songwriter was knocked down while riding his bike through the streets of the capital. It has been reported Ed Sheeran could have broken his right arm. A source close to Ed told Australian radio station nova106.9’s host DJ Smallzy how the Castle on the Hill singer had suffered a broken arm. However, the source also confirmed how Ed is thankfully in a stable condition after being rushed to hospital. 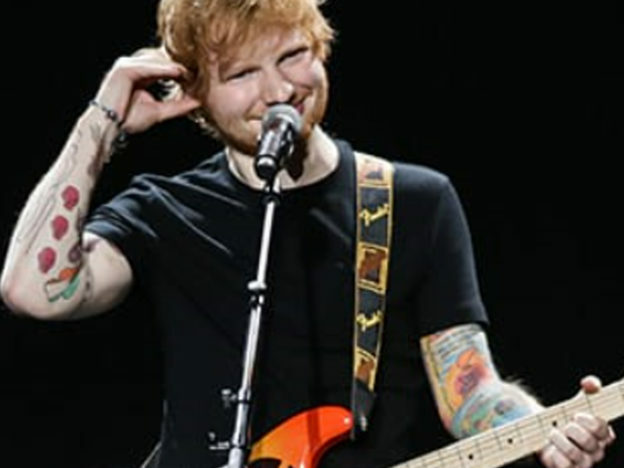 This could well have implications for his upcoming tour in Asia over the next fortnight, as playing a guitar with a broken arm might prove to be far too difficult, even for an experienced guitar player such as Ed. The internationally famous pop star was due to play in Taipei on October 22 before playing in Osaka, Japan, Seoul in South Korea, Tokyo in Japan, Hong Kong, the Philippines, Indonesia and Singapore. In mid-November, he was scheduled to move on to Malaysia and Thailand in what should have been a very exciting moment in his career. However, Ed Sheeran fans throughout Asia are now preparing for disappointment as it becomes highly likely there will be concert cancellations. oh my gosh that's horrible i hope he's okay though ? Get well soon @edsheeran ? Ed had just finished a four-month tour of the US, and was apparently really looking forward to performing for his fans in Asia. However, his plans could now be put in jeopardy. This USA leg of the tour ends today, been a very fun 4 months, will be back here next year the stadium tour which I’m super excited about. Off to shoot a music video tomorrow for Perfect and then we go to Asia for 6 weeks for shows, which I’m excited about too. Thanks to everyone who’s come to the shows so far, and thank you to @jamesblunt for being a fantastic opening act. His fiercely loyal fan base have already taken to Twitter to send messages of support to everyone’s favourite flame haired musician/divisive Game of Thrones cameo actor. One saddened fan tweeted: ‘I really hope you’re okay my love’ with two heart emojis. Another fan boldly declared: ‘Whoever hit @edsheeran with a car, I will find you and run you over’. @edsheeran You good bro? The tour is just a month away. ? Ed’s representatives have yet to make an official statement about the accident, and have not yet advised how this could affect the upcoming tour dates. Here’s wishing Ed a full and speedy recovery. And Ed, if you’re looking for people to sign your cast Year 9 style, then pop on over to the UNILAD office for a brew and biscuit. More information about the nature of Ed’s condition, and about any potential cancellations, is expected to follow in due course.